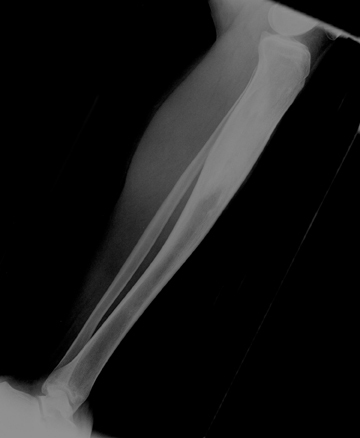 Initial radiographs demonstrated an expansile, sclerotic lesion in the proximal diaphysis of the left tibia, with a subtle tubular focus of lucency in the central portion of the medullary shaft (Figure 1). 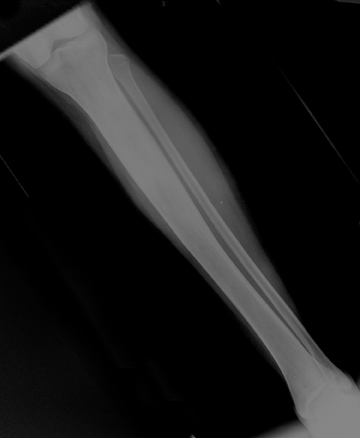 The radiographic findings were considered highly suspicious for chronic osteomyelitis with a possible intra-osseous bone abscess (Brodie’s abscess). Magnetic resonance (MR) imaging with gadolinium was performed for further evaluation. 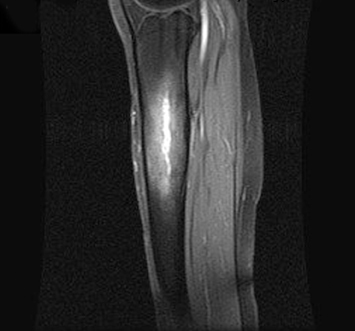 The MR demonstrated patchy marrow edema and enhancement within the proximal diaphysis of the left tibia. In addition, in the central portion of the medullary canal, there was an 8.5 cm x 0.5 cm focus of linear signal abnormality, and enhancement, suspicious for an intra-osseous abscess (Brodie’s abscess). There was also mild thickening of the adjacent cortical bone (likely related to chronic periosteal reaction), and minimal edema in the adjacent subcutaneous soft tissues (Figures 2-4). 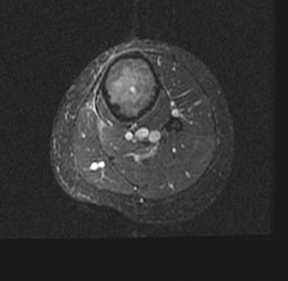 Overall, the constellation of findings was nearly diagnostic of chronic osteomyelitis with a Brodie’s abscess. There are 4 routes of contamination in the development of osteomyelitis, including hematogenous, spread from a contiguous source, direct implantation, and post-operative.1 The most common pathogens are somewhat age dependent, but the most common is Staphylococcus aureus. The term Brodie’s abscess was initially described by Sir Benjamin Collins Brodie in 1832.2 A Brodie’s abscess can be seen in both the subacute and chronic stages of osteomyelitis. These lesions, which are more commonly seen in children, typically demonstrate an elliptical or tubular shape, and are most commonly located near the metaphysis. A Brodie’s abscess is a cavity containing purulent fluid or mucus, lined with granulation tissue, and surrounded by sclerotic bone. This often produces characteristic radiographic features, which can facilitate the diagnosis and treatment plan. MR is also useful for accurately characterizing the size and shape of a Brodie’s abscess,to guide therapy and to help plan for surgery.3-5 If not diagnosed properly, osteomyelitis can progress and become more difficult to eradicate. The radiographic findings of chronic osteomyelitis with a Brodie’s abscess are often characteristic. In the proper clinical setting,identification of an elliptical or tubular-shaped lytic lesion, with adjacent sclerotic changes, is highly suspicious for infection. MR is also useful for more accurately characterizing the size and shape of a Brodie’s abscess. Radiology can play a key role in making the diagnosis and in determining the most effective treatment plan. Resnick D. Osteomyelitis. 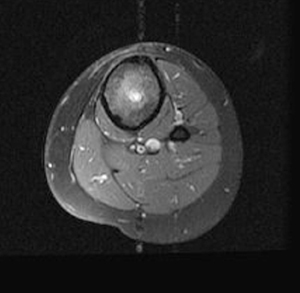 Septic arthritis, and soft tissue infection: Axial skeleton. 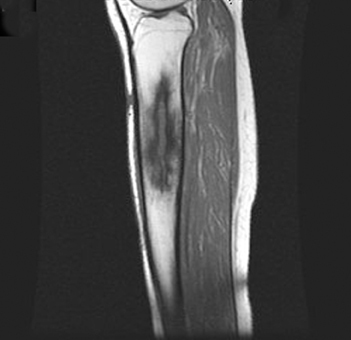 In: Bone and Joint Imaging. 2nd ed. Philadelphia, Pa: W.B. Saunders; 1996:674-683. Brodie BC. 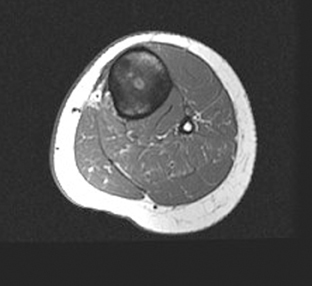 An account of some cases of chronic abscess of the tibia. Med Chir Trans. London, 1832;17:239-249. Bohndorf K. Infection of the appendicular skeleton. Eur Radiol. 2004;14;suppl 3:E53-E63. Review. Gold RH, Hawkin RA, Katz RD. Bacterial osteomyelitis: Findings on plain radiography, CT, MR and scintigraphy. AJR Am J Roentgenol. 1991;157:365-370. Erdman WA, Tamburoo F, Jayson HT, et al. 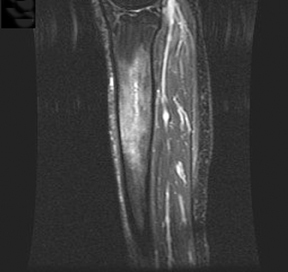 Osteomyelitis: Characteristics and pitfalls with MR imaging. Radiology. 1991;180:533-539. 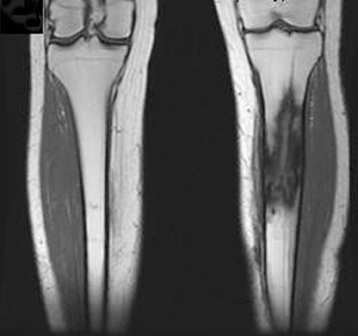 Culture-negative chronic osteomyelitis of the tibia with a Brodie’s abscess. Appl Radiol.